GCI publisher Pat Jones explains why this is a special Carolinas GCSA Conference and Show for a pair of industry stalwarts. From golf courses to a college campus – and multiple points in between – GCI captures the Carolinas GCSA sights. 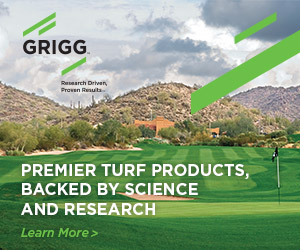 Dr. Bruce Martin discusses his nearly three decades at Clemson University, diseases, pests and the future of turfgrass science. Keith Wood describes life following a major championship and Adam Charles previews the Carolinas GCSA Conference and Show. Ken Mangum explains why the Carolinas GCSA Conference and Show is an important event for BRANDT’s turf business. Walk, listen, talk, learn. Here’s a look at what to expect while visiting booths in Myrtle Beach. Unsubscribe from this specific email. Opt Out of all emails and no longer receive any emails from us.